Come and enjoy our new format! ~ a fun, educational family-friendly Open Day - Evening! Cost: Depends if you can resist the chai and cake, and what crafty delights you create. "Duuvy, coming from a background in hospitality, business and basic Babylonian mediocrity, became frustrated with life dedicated to economy and material evolution. He one day got rid of it all and decided to go study and work with the Earthship crew in Taos, New Mexico. There, Duuvy was trained and groomed in the art of Earthship science, physics, philosophy and building. This was only the beginning. Duuvy became driven by taking what he had learned and applying it to entire land design with real focus on natural systems and the ‘spirit of nature’. From there, he flew back to Australia and met a dedicated gang of inspired individuals. The result was the organising and facilitation of ‘Australia’s first Earthship’. From there Duuvy became very interested in ‘big picture’ education and the plans for a ‘life on planet Earth’ school are now in full swing! The future is a very exciting place to be somersaulting towards." Sunshine Coast musician and songwriter Jason Daniels is a regular on the Coast circuit, and Brisbane, launching his debut single at the Caloundra Music Festival. Jason is now gathering songs for his soon to be released album. Doonan resident Martin Enock musician and songwriter developed his unplugged guitar finger picking style from his era of 1960’s & 70’s influences including Joan Baez, Peter Paul and Mary, Donovan and Dylan and the like, playing in folk clubs and music festivals in Southern Africa. Martin is a wonderful storyteller who has renewed his passion for music and sets an intimate atmosphere playing around the Sunshine Coast. Both artists write from their observations and experiences from their physical travels and heart felt journeys through life. centre and expansion..... and exploration of the body and beyond. Cost: Early bird by 7 May $130 or * $150 includes basic costs of facilitator, venue use, 1 night byo camping (extra nights $15 p/p per night). Includes breakfast and lunch on Sunday & healthy light refreshments and water provided for the weekend. Come and join us for a relaxed afternoon where you can have a cuppa and chat with community members and others and participate in whatever activities are going on at Bellbunya on the day! It could be gardening or a craft session or a walk to the lagoon through the bush regeneration area. Healing sessions may be available... A tour of the land and Community, Q&A with a Bellbunya community member is always an option. Check the website for any special offerings for the day. And please let us know that you're coming by email or phone 5447 0181. This workshop is NOT about dance moves and choreographies. You DON’T need to be trained in movement. This workshop is all about committing all of who you are fully into everything you do. Being fully in your body, in your movement, sharing who you are with the world with your every move. Being fearlessly here now. All movement is graceful when it is filled with consciousness. "The movements in this workshop are derived from ballet, tai chi, Feldenkrais and yoga. Focus is on feeling the movement, developing awareness of how we move and the confidence to explore our inner landscapes with our external frame. Through guided meditations, shared experiences and self-discovery opportunities, our movement becomes at once more conscious and more natural." Morning and afternoon tea provided, please bring lunch to share. Evan danced with ballet companies in France, Germany and Canada. After 26 years overseas, he returned to Brisbane to teach ballet at QUT . Margit is a Physiotherapist and has been conducting workshops on the subject of meditation/healing/self discovery for over 30 yrs. Overnight accommodation can be arranged at Bellbunya. In life we focus on the negative space, or the areas in our life that are missing or incomplete. Its often these missing areas of our life that we blame for our inability to find happiness or fulfill our desires. The complementary practices of yoga and art create a place where both the rational mind and the creative can work together. 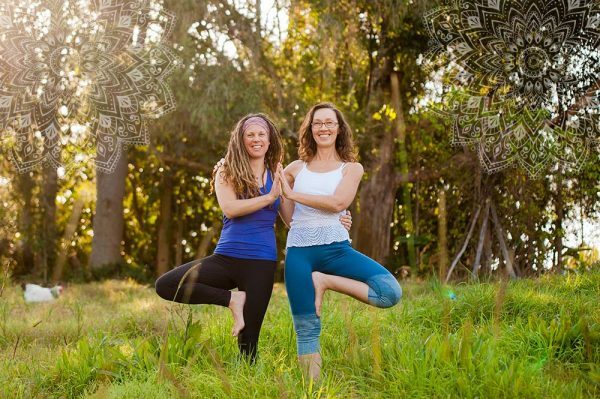 This yoga retreat will offer an inward journey to the light and wisdom of our soul so we may uncover greater personal clarity for self-healing. The practice of re-birthing, breath-work and art offers restoration and re-alignment of our soul energy, preparing us for the busyness the rest of the year presents. Numbers are limited. Please contact me for all details and bookings. Cost: $450 Includes accommodation, meals, yoga and art materials. Would you cherish working on your own projects with enjoyable company in a beautiful setting? Then come to Bellbunya this weekend! Walk and dance and even stay for an evening meal @$15. We can have more music after dinner. You can participate in a community tour on Saturday afternoon. Cost: $20 each day (half day price $15). Men be confident with women through your depth, trust and authentic love. Women embrace your feminine expression and radiance. Enhance and attract intimate relationships. There will be space for massage swaps, and massages can also be booked with a professional masseur ($80). Contact Alison from 1/11/2016. Are you aware that your consciousness determines whether you will struggle in frustration, lack and perpetuate patterns of stagnation or live a creative, productive, fulfilling life with infinite possibilities? Has money, time or any other resource become a limitation for what you choose rather than an expansive possibility for the projects, desires and wealth creation you truly desire? If you keep doing what you have always done, you’ll always get what you have always got! The scarcity that is in many people’s lives is due to their “relationship’ to beliefs, points of view and judgments of money and other resources. These perpetrate unconscious limitations into everyday life and decisions. Well…what if that could change easily and dynamically? In this 2-day workshop you receive a comprehensive workbook that will help you expand your awareness of where you are functioning from not enough and limitation and change it to function outside of the box and beyond any limitation. Viv interweaves the tools and philosophies throughout the 2 days, so they become part of your being and vocabulary empowering immediate change and opening doors that you may not have yet considered. Viv's personal story is instructive and inspiring. Come along to the Introduction just to hear that! Where: Bellbunya Community Hall, 114 Browns Road, Belli Park. Please note that those who wish to experience the introduction before choosing to do the workshop are more than welcome to do so. And, for those who wish to register for both immediately then that opportunity is available as well. Payments can be made by direct deposit or by cash on the day. Immerse yourself in a whole weekend of meditation and yoga at Bhakti Camp - dive a little deeper into the world of yoga and come away feeling inspired, deeply peaceful, happy and relaxed. 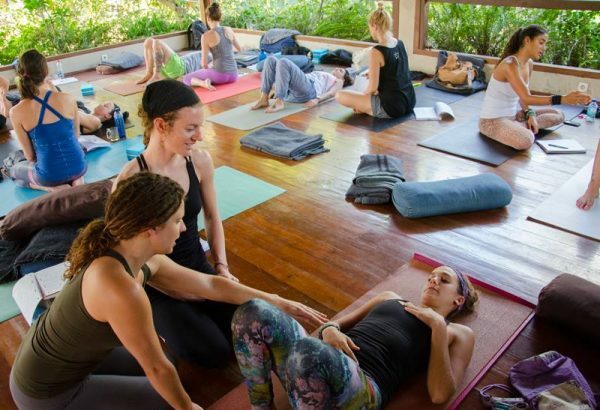 Our location for this month is Bellbunya - an intimate retreat venue with 40 pristine acres of hills and bushland, big blue skies and incredible sunsets in the Noosa Hinterland. Wake up to birdsong, and practice yoga asanas surrounded by tall trees, in a grassy clearing. Enjoy delicious home cooked vegetarian/vegan meals with new friends, and spend your days soaking up sublime kirtan, yoga wisdom and filling the air with laughter and good vibes. Join us for an afternoon hike, cooking classes and relaxation then rug up for toasty bonfire kirtans complete with marshmallows and rest in your comfy, cozy rooms. A perfect opportunity to relax, meditate and rejuvenate. Dormitory, twin and single rooms available starting at $199 inclusive of all meals, accommodation and full program. Please email Yasi at info@kirtanretreats.yoga for a program and information pack or click here to book. If you’re tired of burnout, frustration and exhaustion, this weekend could be the missing piece that enables you to support yourself and your clients, so that you can thrive in your work. Embodied Mind was created to help you to develop your own foundational yoga and mindfulness practice so that you can support yourself in your work, and bring these embodied techniques to your clients. Awaken your body, mind and spirit with 5Elements Dance Activation™ - a community conscious ecstatic dance! I invite you to come experience this Journey of Elemental Embodiment - Dancing Earth, Water, Fire, Air and Ether, to authentically express yourself with great world music in a safe non-judgemental space. In this special journey we will be opening the circle with tea ceremony, drinking Mugwort tea as plant medicine (optional) to allow us weaving our most sacred dreamings in the dance floor. 5Elements Dance Activation™ is an active dance meditation drawing on the wisdom of yoga, pranayama, ecstatic dance, shamanic clearing and earthing. It uses breath as a tool to enter heightened states of consciousness and expanded sense of awareness and connection. Camila Caeron, creatrix of the ECSTATIC TEMPLE, is a spiritual seeker since her early 20's, passionate about embodiment practices that bring her always back to the present moment, to the aliveness of her body feelings and sensations. Since ecstatic dance already brought so much healing and transformation to her life she has decided start sharing it and getting more people hooked in to her best addiction ever: "getting really HIGH on breath and dance". Camila's intention is to provide opportunity for more people to embody this group experience of natural ecstasy states with a conscious mind that happen in the dance floor. Community and Sacred Herbalism is a 3 day intensive plus 12 weeks online. The 12 week Community and Sacred Herbalism course is designed to offer students a profound experience of earth-centred herbalism. From day one the focus is on working with real plants, both physically and energetically, to create relationships of lasting communion and co-creation in the service of healing.